The hand of Michael Jackson – a palmistry reading! The hands of Michael Jackson – what does his palmistry reading reveal? 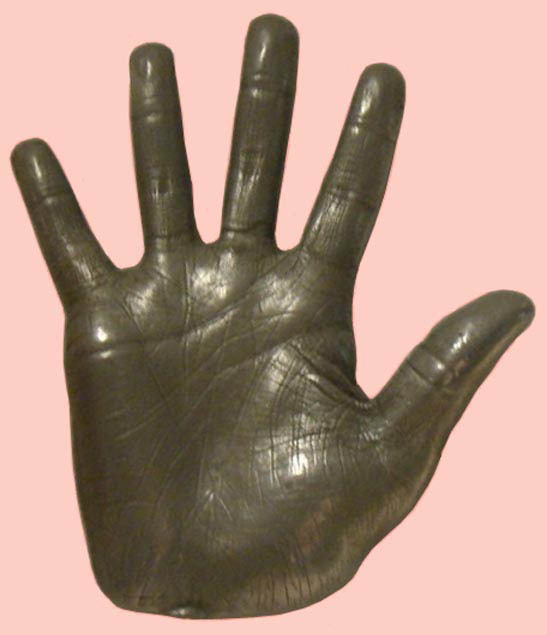 The wax hand cast above is Michael Jackson’s right hand – which is presented at London’s “Madame Tussauds“. What does his hand reveal about his life and death? 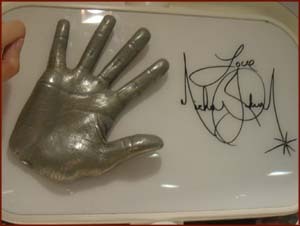 First of all, it is also interesting to notice that Michael Jackson’s right hand cast at “Madame Tussauds” reveals much more details about his hand lines than any public photo of his hands! 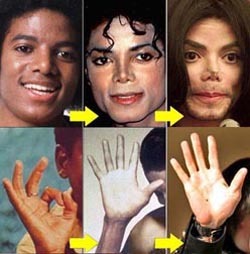 Hand experts have noticed that Michael Jackson’s hands are rather remarkable and present quite a few tell-tale stories! 1 – In both hands Michael Jackson has a ‘double headline’: which can be recognized as a sign of a ‘double nature’ and an ‘eccentric personality’. 2 – Especially in his right hand is the thumb-angle a bit narrow (though in his left hand the thumb angle is wider): which can be recognized as a sign of being cautious (especially later in life). 3 – The combination of his relative long ring finger + strong thumb mouse (a.k.a. the mount of Venus): can be recognized as a sign of charismatic & spontaneous personality. 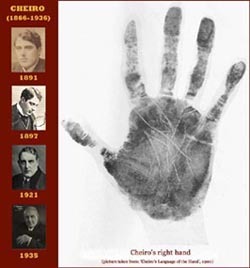 Palmistry from Russia: the ‘line of influence’ and ‘line of Mars’! 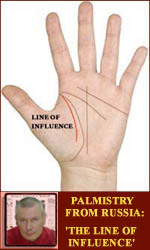 Palmist Abarin Yuriy describes the difference between ‘the line of influence’ and the ‘line of Mars’. In many palmistry books of a ‘line of influence’ is often called a ‘line of Mars’, which is not correct. 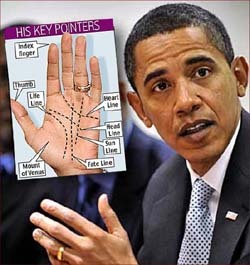 Though these palmistry lines have some common characteristics: e.g. an arrangement and some properties. In his article Mr. Yuriy describes 15 aspects of ‘the line of influence’, and he explains that this line is related to the influence of close people; other names for this line are: ‘the Guardian angel line’, ‘support line’, or ‘line of Venus’. Palmistry – how long is your life-line? The life line is one of the most well-known features of Palmistry. Most people are able to find the life line in their own hands.